Nottinghamshire Firefighter Rebecca ‘Bex’ Sims is preparing to swap the extreme heat for the cold water after being selected as an Elliot Brown Ambassador for the North Pacific Leg 6, which sets sail from Qingdao, China, in March, and will arrive in Seattle, USA, in April having completed almost 6,000 nautical miles. 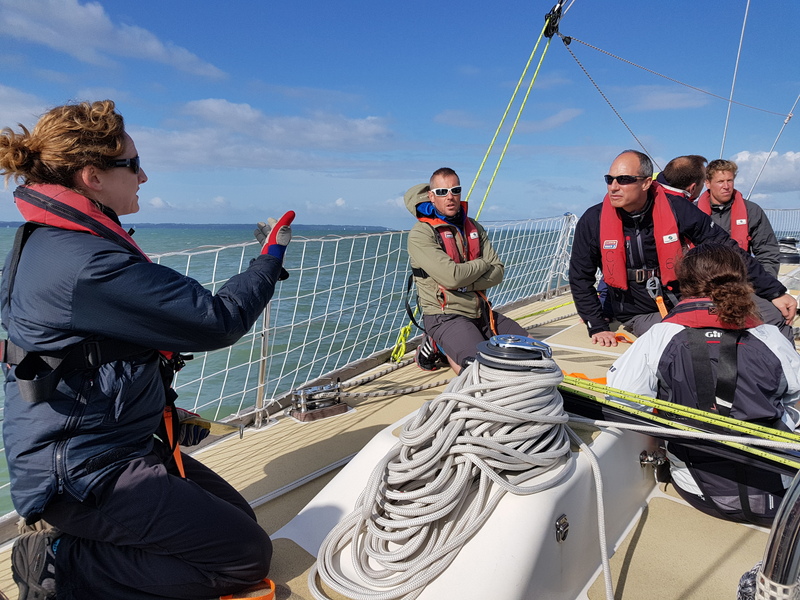 Elliot Brown watches are endorsed by the Fire Brigades Union (FBU) as well as the Clipper Race due to the fact that they survive in the toughest conditions, and Bex won the opportunity to take on an adventure of a lifetime after entering a competition in Firefighter magazine. IMAGE: Bex Sims (centre) and 'White Watch', Ashfield Fire Station, Nottinghamshire Fire and Rescue Service at East Midlands Airport for training exercise. Before being selected, Bex had to undergo her Level 1 Training along with another seven firefighters who had also made the shortlist but she managed to beat off stiff competition to secure her place. 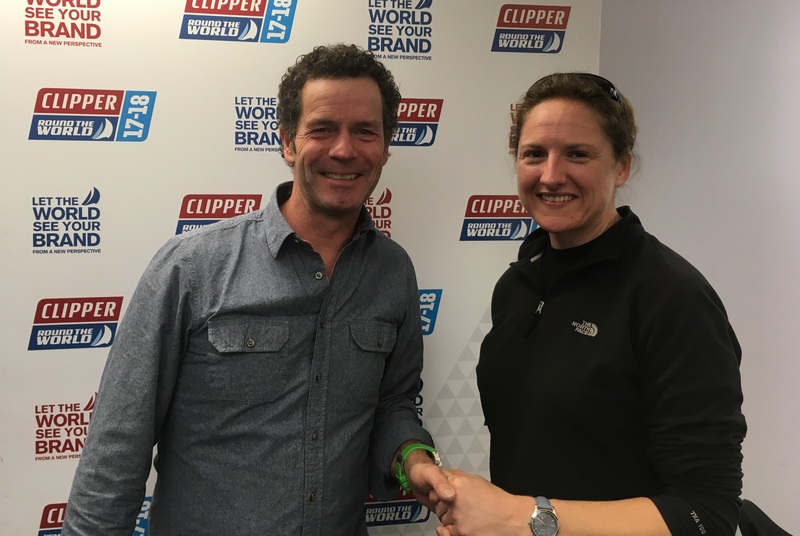 IMAGE: Co-Founder of Elliot Brown, Ian Elliot, with Bex Sims. Crossing the Mighty Pacific will be a unique adventure but Bex has been struck by the number of similarities with her working life as a firefighter, explaining: “A lot of things we did on training, I thought this is like being at work…but I mean that in a really good way, a very positive way! IMAGE: Bex leading an evolution on Level 1 Training. 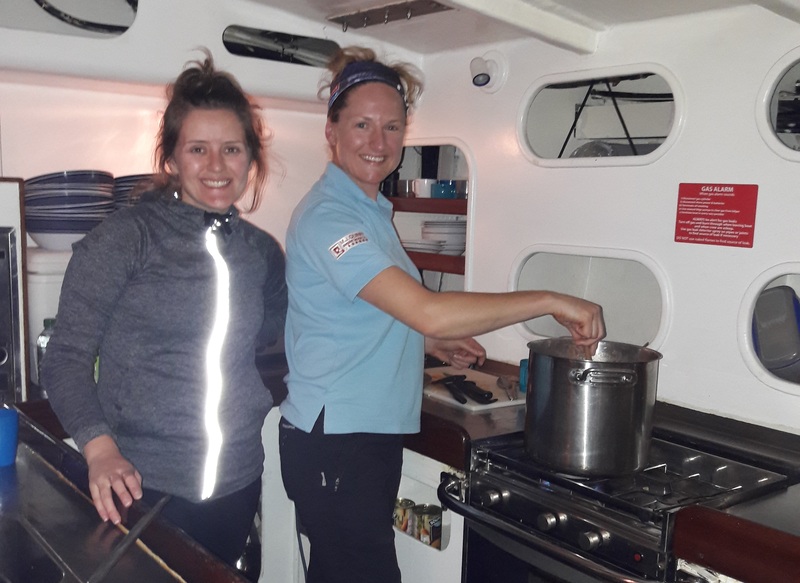 IMAGE: Bex (right) on Galley Duty. 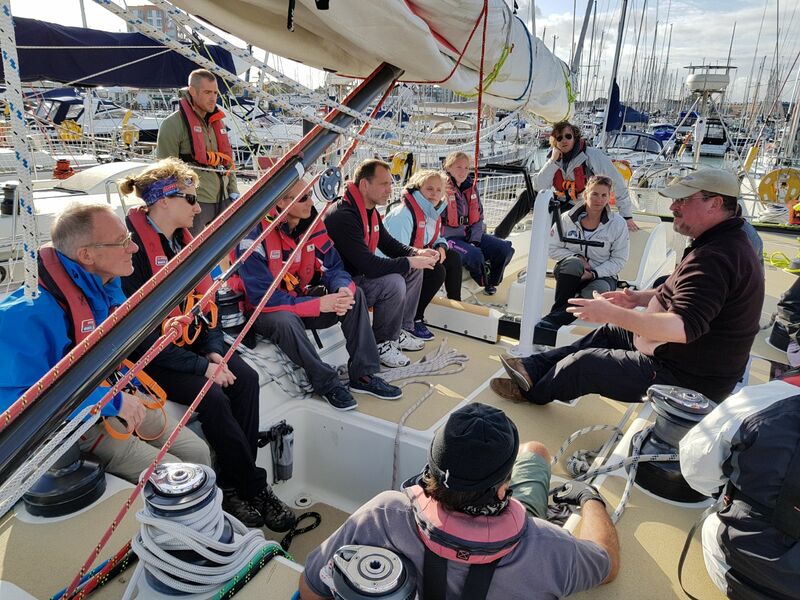 Leg 6 will begin from Qingdao on 23 March and the Clipper Race fleet is expected to arrive into Seattle during the Arrival Window between 14 – 19 April. You can follow Bex’s adventure on her Facebook Page and you can contribute to the two charities that she is fundraising for (The Firefighters Charity and Unicef) by visiting her JustGiving Page.